On a camel’s back hill beyond Agra stands a Redstone citadel altogether different from the white marble Taj Mahal. Fatehpur Sikri is the capital Akbar built to honour the saint who foretold the birth of his first son. In the inner court of the king’s palace is a broad stone terrace with a chequered pattern that resembles a game board. Here, accounts say, Akbar played a kind of chess using human pieces from his harem of three hundred. 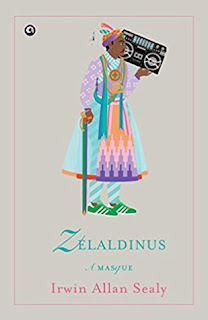 Costumed in various guises, his women would have presented lively masques upon this stage.Zelaldinus mounts such a pageant, glittering and fantastical, where past and present, nobles and commoners, history and fiction rub shoulders. Its variety of verse and prose forms evoke the carnival spirit of a masque. Underlying the depiction of a rich and varied court life at Sikri are reflections on kingship, a meditation on fathers and sons and a plot within a plot that tells a crackling story of love across the Pakistan border—while through it all strides the nimble ghost of Akbar himself. Jalaluddin (Zelaldinus) Akbar. One of India's post-Independence writers, Allan Sealy was born in 1951 in Allahabad, Uttar Pradesh. After schooling in Lucknow, he attended Delhi University, then studied and worked in the United States, Australia, Canada, and New Zealand. Now he spends much of his time in Dehra Dun. His eye for place and his evocative descriptions are apparent in all his novels and in his travelogue, From Yukon to Yukatan. Sealy's first novel, The Trotter-Nama: A Chronicle, is a tale of seven generations of an Anglo-Indian family. His more recent novel, The Everest Hotel: A Calendar, gained him an international following after being short-listed for the Booker Prize in 1998. According to Alex Tickell of the University of York, Allan Sealy has introduced "a memorable cast of characters in The Everest Hotel [and] his talents are equally evident in the luminous descriptive passages in the text, and in his feel for the lighter brushwork of natural detail, and shades of color and texture." Allan Sealy has won a number of awards for his writing including the Commonwealth Best Book Award in 1989, Sahitya Akademi Award in 1991 and the Crossword Book Award in 1998. The Library of Congress has four works by him. I fell in love with the bright, beautiful and quirky cover of this book which eventually led me to researching on a few things including the title and the author. Needless to add I was impressed.It is very rare that you get to read a book which leaves you wondering for days together. Written as poetry-in-prose format, this book tells you the story of Jalulddin Akbar from whom the word Zelaldinus is derived upon. This book can easily be called your window to Fatehpur Sikri. As you flip through the pages you find yourself behind those thick walls of the palace and you witness their life from close quarters. Indian history is replete with so many versions of how the royals lived. Their grandeur and magnanimity unmatched for. The author comes close to capturing that grandeur is this work which showcases what transpires behind those mammoth walls. There is romance, there is mystery, there is conspiracy, there is politics, there is so much happening that at one point of time I felt as if I was reading more than one novel. The plot within a plot as a technique has been used very well by the author making it a brilliant read. Once I finished reading the book I couldn't get over it for long. There are powerful descriptions that stayed in my mind. One of my favorites -"Looking up I find I've stepped into a stranger's photograph". The apathy of looking at one's photograph and finding a stranger, as you are unable to connect with the older self you were is so beautifully explained in this one life. Full of such immensely descriptive narrations this book is one that recreates history, albeit a bit colourfully. I would recommend this book to every history and poetry lover. You will see history getting redefined in these pages. 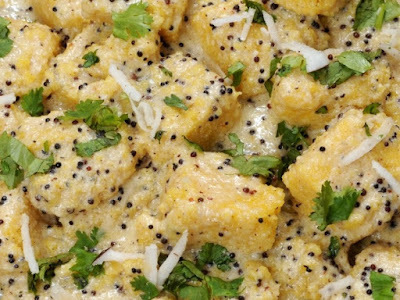 This book is like dahi khamman - an old dish served with a twist that makes you look at it in new sight!